Abdimalik Oldon, an online freelance journalist and blogger. 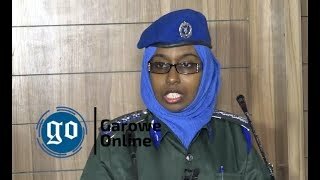 HARGEISA – Police in the breakaway Somalia region of Somaliland arrested a journalist after interviewing a man arrested for alleged cannibalism in the region last week, officials said Monday. 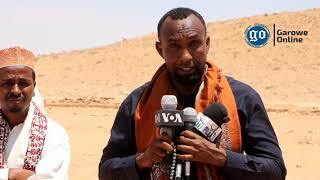 Abdimalik Oldon, an online freelance journalist and blogger was arrested after he interviewed an ethnic Oromo man whom authorities accused of cannibalism after the severed head of a child was found in a remote village in the region. During the interview, the man has denied the charges, saying that he was arrested by mistake by security forces. 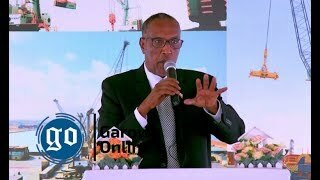 Security officials declined to comment on his arrest which highlights challenges facing journalists in Somaliland which arrested dozens of reporters and closed down media station in the past few years. 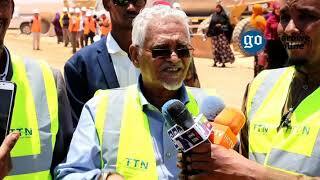 Journalists in Somalia condemned Mr. Oldon’s arrest, urging authorities in Somaliland to release him. 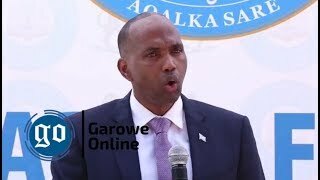 According witnesses, armed soldiers have ransacked the journalist’s office in Burao town Monday and confiscated his equipment. His cameraman was also arrested. Somalia is one of the most dangerous places for media workers to operate as dozens of journalists were killed for the past few years. Despite having no personal security concerns unlike their colleagues in southern and central Somalia, journalists in Somaliland and its neighbouring Puntland are subject to intimidations, censorship and harassment, a scenario journalists’ rights groups criticizes as ‘draconian’. 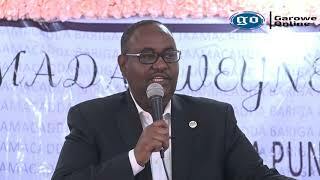 HARGAISA, Somaliland- A well-known journalist and a humanitarian activist, Abdi Malik Eldoon was freed from prison after receiving a presidential pardon on Thursday, Garowe Online reports.